We are delighted, once again, to be able to offer members the opportunity to experience driving a London bus. We have arranged for this to take place on a Saturday as we thought this would be more convenient. 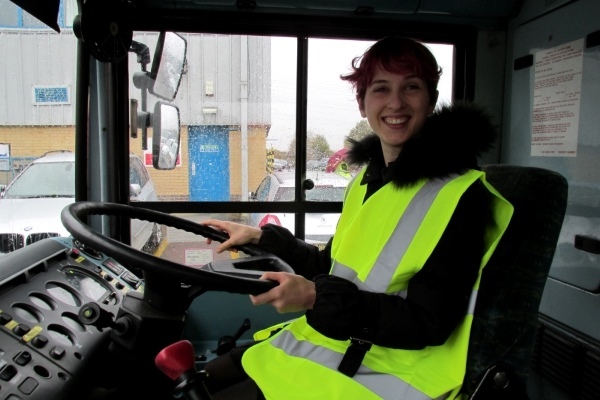 The training session, courtesy of Arriva, will include instruction in some operational skills, safety procedures and basic tuition in bus driving (including reversing and parking). There will be an opportunity for each individual to drive the bus within the depot. Participants in the training session will be met by the Arriva instructor at Tottenham Hale Station and taken to Edmonton Bus Depot for the training session. This is a strictly members-only event and we have just 12 places available. Invitations will be sent to all Women in Transport members on Wednesday 11 April As we expect the event to be very popular, if over-subscribed, a ballot for places will take place on Monday 16 April and places will then be confirmed.